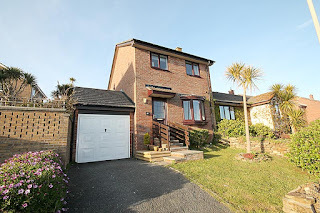 The Newquay holiday home is a three-bedroom, self-catering holiday property with FREE WiFi, located on the highly desirable Pentire side of Newquay, close to Fistral Beach and the town centre. 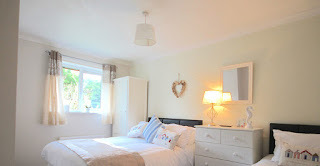 The house is well-equipped with all your home-comforts such as BT Sports channel, CatchUp TV and parking which makes it the ideal place for both families and couples. Newquay’s premier surfing beach, Fistral, is just a few minutes walk away, and is easily accessible for friends and families to carry surf boards, picnics and beach gear to the sand, so there’s no need to drive. Equally accessible is the River Gannel tidal estuary, an area popular with bird watchers and anglers. The beauty and tranquillity of the area makes and ideal setting for scenic walks and picnicking. At low tide, enjoy the walk down the river to the marvellous Crantock Beach. Enjoy a round of golf at one of the finest links courses in Cornwall with stunning views over Fistral Beach. Newquay Golf Course is just a 10-minute stroll. For the more adventurous holiday-maker, Lusty Glaze Adventure Centre is a must, where activities on offer include rock climbing, abseiling and coasteering. Or enjoy a ride on the banana-boat or jet-ski.